The table is booked! 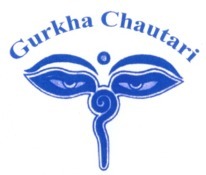 Our November meeting takes place at Gurkha Chautari in Liphook, on Tuesday 8th. We haven't been there for a while, not since May 2013 in fact, as we've been concentrating on Petersfield and Haslemere/Grayshott. Despite the long gap, it's still our 5th most visited restaurant, just behind Madhuban and Malabon in our all-time list. Since we last visited, the restaurant has entered new ownership and been redecorated, so it's time to try it again. The restaurant is on Station Road, but we normally meet for aperitifs at the Links Tavern on Portsmouth Road, just about 300 metres away. Aperitifs start about 19:30 unless you're feeling extra thirsty and want to begin earlier. Members are asked to let me know whether you expect to be there, either in response to the e-mail notice or through the feedback page on the web site. I've booked for 10, but the restaurant can accommodate more if we give them sensible notice. There's plenty of parking nearby, on Station Road. Let's look forward to some great food on 8th! The table is booked! October sees us return to Chilli Night(s), in Haslemere, on Tuesday 11th. We were last there in May, and it's consistently good. Here's a link to a TripAdvisor review in November last year. As usual for this end of Haslemere, which has a shortage of good pubs, we meet at the restaurant at 7:30 for 8, and aperitifs can take as long or as little as we like. Members, let me know whether you expect to be there, either in response to the e-mail notice or through the feedback page on the web site. I've booked for 10, but the restaurant can accommodate more if we give them sensible notice. There's plenty of parking nearby, either on Wey Hill itself, round St Christopher's Green, or in the free car park on St Christopher's Road (by Shahanaz).